the night with his cronies roaring drunk, wake up a terrified George Jr., and demand that he sing for them or face a beating. In a CMT episode of Inside Fame dedicated to Jones' life, country music historian Robert K. Oermann marveled, "You would think that it would make him not a singer, because it was so abusively thrust on him. But the opposite happened; he became a chronic singer. He became someone who had to sing." In the same program, Jones admitted that he remained ambivalent and resentful towards his father up until the day he died and observed in his autobiography "The Jones family makeup doesn't sit well with liquor...Daddy was an unusual drinker. He drank to excess but never while working, and he probably was the hardest working man I've ever known." His father bought him his first guitar at age nine and he learned his first chords and songs at church and there are several photographs of a young George busking on the streets of Beaumont. 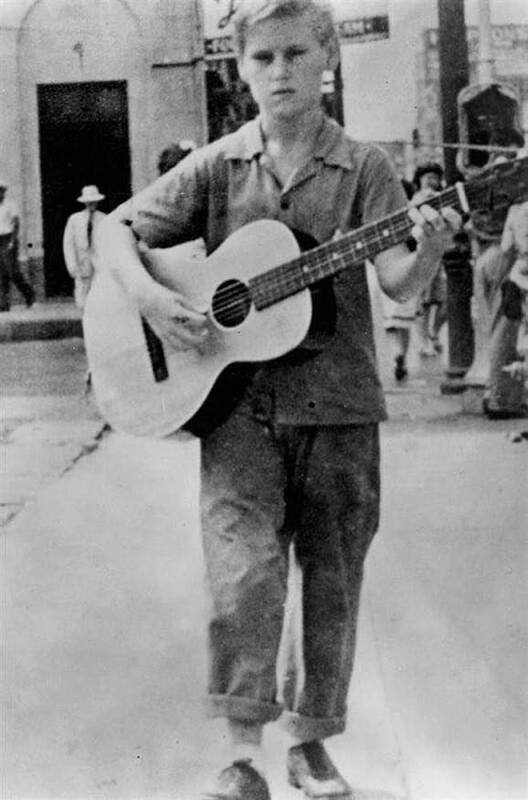 He left home at 16 and went to Jasper, Texas, where he sang and played on the KTXJ radio station with fellow musician Dalton Henderson. From there, he worked at the KRIC radio station. During one such afternoon show, Jones met his idol, Hank Williams ("I just stared," he later wrote). In the 1989 video documentary Same Ole Me, Jones admitted, "I couldn't think or eat nothin' unless it was Hank Williams, and I couldn't wait for his next record to come out. He had to be, really, the greatest." He married his first wife Dorothy Bonvillion in 1950, but they divorced in 1951. He was enlisted in the United States Marine Corps until his discharge in 1953. He was stationed in San Jose, California for his entire service. Jones married Shirley Ann Corley in 1954. His first record, the self-penned "No Money in This Deal", appeared in February 1954 on Starday Records and began the singer's association with producer and mentor H.W. "Pappy" Dailey. 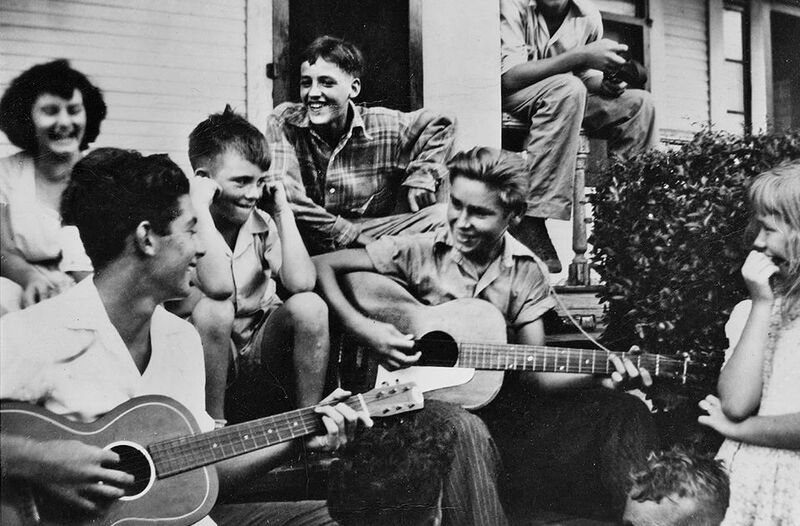 The song was actually cut in Starday Records' co-founder Jack Starnes' living room. Jones also worked at KTRM (shortly thereafter, KZZB95) in Beaumont around this time. 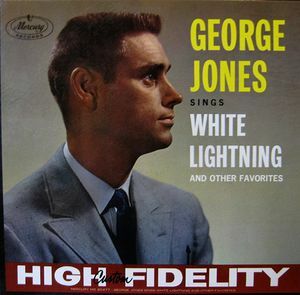 Deejay Gordon Baxter told Nick Tosches that Jones acquired the nickname "possum" while working there: "One of the deejays there, Slim Watts, took to calling him George P. Willicker Picklepuss Possum Jones. For one thing, he cut his hair short, like a possum's belly. He had a possum's nose and stupid eyes, like a possum." During his early recording sessions, Daily admonished Jones for attempting to sound too much like his heroes Hank Williams and Lefty Frizzell. In later years, Jones would have little good to say about the music production at Starday, recalling to NPR in 1996 that "it was a terrible sound. We recorded in a small living room of a house on a highway near Beaumont. You could hear the trucks. We had to stop a lot of times because it wasn't soundproof, it was just egg crates nailed on the wall in the big old semi trucks would go by and make a lot of noise and we'd have to start over again." Jones' first hit came with "Why Baby Why" in 1955. That same year, while touring as a cast member of the Louisiana Hayride, Jones met and played shows with Elvis Presley and Johnny Cash. "I didn't get to know him that well," Jones said of Presley to Nick Tosches in 1994. "He stayed pretty much with his friends around him in his dressing room. Nobody seemed to get around him much any length of time to talk to him." Jones would, however, remain a lifelong friend of Johnny Cash. 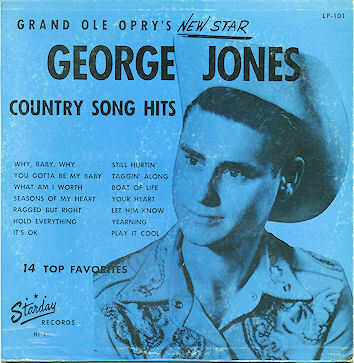 Jones was invited to sing at the Grand Ole Opry in 1956. With Presley's explosion in popularity in 1956, pressure was put on Jones to cut a few rockabilly sides and he reluctantly agreed. His heart was never in it, however, and he quickly regretted the decision; in his autobiography he joked, "During the years, when I've encountered those records, I've used them for Frisbees." He explained to Billboard in 2006: "I was desperate. When you're hungry, a poor man with a house full of kids, you're gonna do some things you ordinarily wouldn't do. I said, 'Well, hell, I'll try anything once.' I tried 'Dadgum It How Come It' and 'Rock It', a bunch of ****. I didn't want my name on the rock and roll thing, so I told them to put Thumper Jones on it and if it did something, good, if it didn't, hell, I didn't want to be shamed with it." Jones went on to say he unsuccessfully attempted to buy all the masters to keep the cuts from surfacing later, which they did. 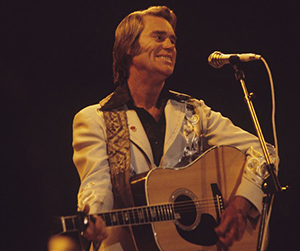 One aspect of Jones' early career that is often overlooked is his success as a songwriter; he wrote or co-wrote many of his biggest hits during this period, several of which have become standards, like "The Window Up Above" (later a smash for Mickey Gilley in 1975) and "Seasons of My Heart" (a hit for Johnny Cash and also recorded by Willie Nelson and Jerry Lee Lewis). 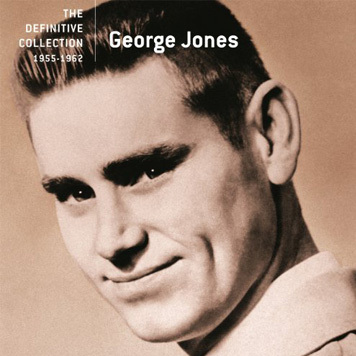 Jones wrote "Just One More" (also recorded by Cash), "Life To Go" (a top five hit for Stonewall Jackson in 1959), "You Gotta Be My Baby" and "Don't Stop The Music" on his own and had a hand in writing "Color of the Blues" (covered by Loretta Lynn and Elvis Costello), "Tender Years" and "Tall, Tall Trees" (co-written with Roger Miller). Jones' most frequent songwriting collaborator was his childhood friend Darrell Edwards. Jones signed with United Artists in 1962 and immediately scored one of the biggest hits of his career, "She Thinks I Still Care". His voice had grown noticeably deeper during this period and he began cultivating the singing style that became uniquely his own. During his stint with UA, Jones recorded tribute albums to Hank Williams and Bob Wills and cut an album of duets with Melba Montgomery, including the hit "We Must Have Been Out Of Our Minds". In 1990, Jones released his last proper studio album on Epic, You Oughta Be Here With Me. Although the album featured several stirring performances, including the lead single "Hell Stays Open All Night Long" and the Roger Miller-penned title song, the single did poorly and Jones made the switch to MCA, ending his relationship with Sherrill and what was now Sony Music after 19 years. His first album with MCA, And Along Came Jones, was released in 1991 and, backed by MCA's powerful promotion team and producer Kyle Lehning (who had produced a string of hit albums for Randy Travis), the album sold better than his previous one had. 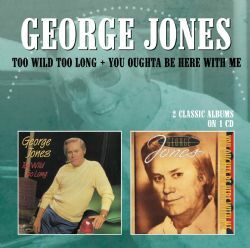 However, two singles, "You Couldn't Get The Picture" and "She Loved A Lot In Her Time" (a tribute to Jones' mother Clara), did not crack the top 30 on the charts as Jones lost favor with country radio as the format was altered radically during the early 1990s. His last album to have significant radio airplay was 1992'sWalls Can Fall, which featured the novelty song "Finally Friday" and "I Don't Need Your Rockin' Chair," a testament to his continued vivaciousness in old age. 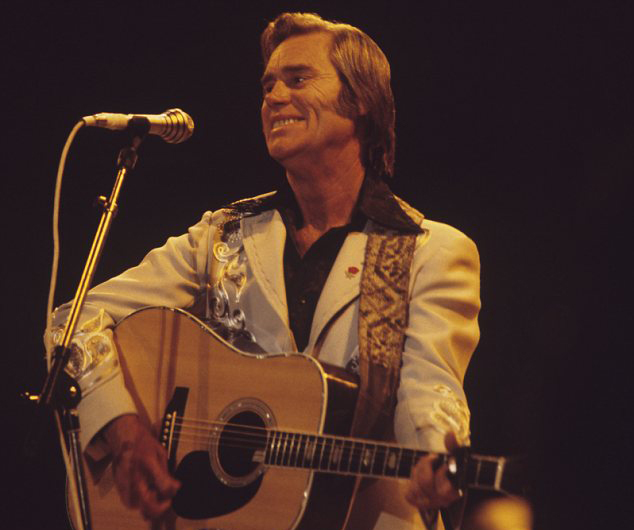 Despite the lack of radio airplay, Jones continued to record and tour throughout the 1990s and was inducted into the Country Music Hall of Fame by Randy Travis in 1992. In 1996, Jones released his autobiography I Lived To Tell It All with Tom Carter and the irony of his long career was not lost on him, with the singer writing in its preface, "I also know that a lot of my show-business peers are going to be angry after reading this book. So many have worked so hard to maintain their careers. I never took my career seriously, and yet it's flourishing." He also pulled no punches about his disappointment in the direction country music had taken, devoting a full chapter to the changes in the country music scene of the 1990s that saw him removed from radio playlists in favor of a younger generation of pop-influenced country stars. 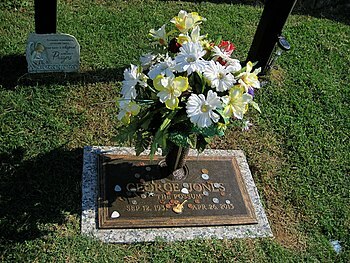 Despite his absence from the country charts during this time, latter-day country superstars such as Garth Brooks, Randy Travis, Alan Jackson, and many others often paid tribute to Jones while expressing their love and respect for his legacy as a true country legend who paved the way for their own success. 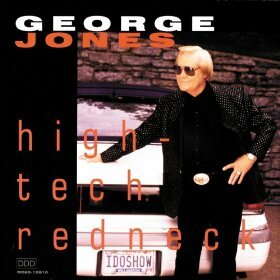 On February 17, 1998, The Nashville Network premiered a group of television specials called The George Jones Show, with Jones as host. The program featured informal chats with Jones holding court with country's biggest stars old and new and, of course, music. Guests included Loretta Lynn, Trace Adkins, Johnny Paycheck, Lorrie Morgan, Merle Haggard, Billy Ray Cyrus, Tim McGraw, Faith Hill, Charley Pride, Bobby Bare, Patty Loveless and Waylon Jennings, among others. On March 29, 2012, Jones was hospitalized with an upper respiratory infection. Months later, on May 21, Jones was hospitalized again for his infection and was released five days later. On August 14, 2012, Jones announced his farewell tour, the Grand Tour, with scheduled stops at 60 cities His final concert was held in Knoxville at the Knoxville Civic Coliseum on April 6, 2013. 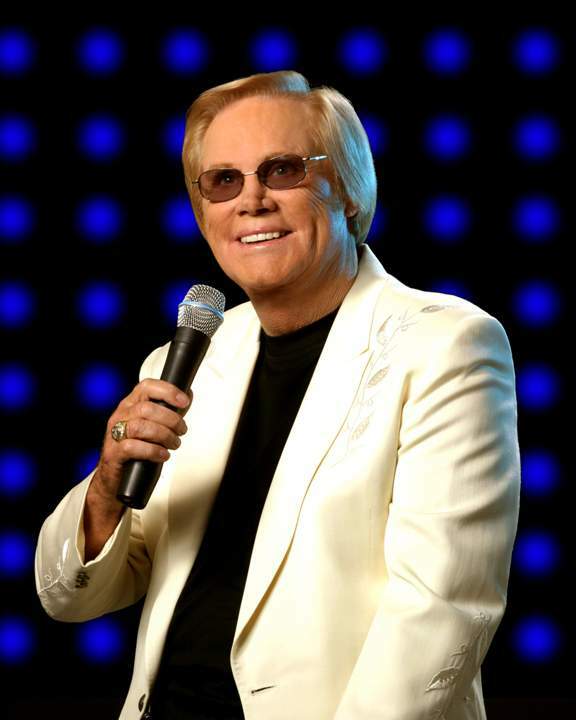 Jones was scheduled to perform his final concert at the Bridgestone Arena on November 22, 2013. However, on April 18, 2013, Jones was admitted to Vanderbilt University Medical Center for a slight fever and irregular blood pressure. His concerts in Alabama and Salem were postponed as a result. While there, Jones died in the early morning hours of April 26, 2013, aged 81, from hypoxic respiratory failure. Former first lady Laura Bush was among those eulogizing Jones at his funeral on May 2, 2013. Other speakers were Tennessee governor Bill Haslam, news personality Bob Schieffer, and country singers Barbara Mandrell and Kenny Chesney. Alan Jackson, Kid Rock, Ronnie Milsap, Randy Travis, Vince Gill, Patty Loveless, Travis Tritt, the Oak Ridge Boys, Charlie Daniels, Wynonna and Brad Paisley provided musical tributes. The service was broadcast live on CMT, GAC, RFD-TV, The Nashville Network and Family Net as well as Nashville stations. SiriusXM and WSM 650AM, home of the Grand Ole Opry, broadcast the event on the radio. The family requested that contributions be made to the Grand Ole Opry Trust Fund or to the Country Music Hall of Fame and Museum. For the two or three minutes consumed by a song, Jones immerses himself so completely in its lyrics, and in the mood it conveys, that the listener can scarcely avoid becoming similarly involved. Waylon Jennings expressed a similar opinion in his song "It's Alright".. 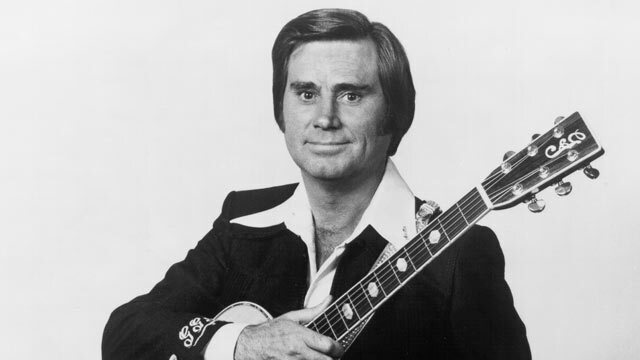 If we all could sound like we wanted to, we'd all sound like George Jones. The shape of his nose and facial features earned Jones the nickname "The Possum."